WE know we were not at our best on the last day of our County Championship game with Middlesex at Scarborough, but the defeat might just give us the kick up the backside that we need. It was disappointing and the lads were gutted. But in the dressing room after the game, I didn’t think it was needed that we should have a big blow-up about it. It was disappointing to lose at Scarborough as we have such a fantastic record there and not many teams come and do what Middlesex did to us. It was a dent to our pride and we were bitterly disappointed to lose, but we move on and one loss doesn’t make a season. We are still in the hunt and no-one is really pulling away from the pack at the top of the table. We just need a good run of form. It is how we bounce back and react from it. The table is tight and if we were to win it this year, it would be a lot better than the last few years, given what we have had thrown at us with call-ups and injuries. It’s been one of those things and I was on the phone to Dizzy (Jason Gillespie) early on Friday morning, trying to find out who was fit and who isn’t. It has been one of those seasons. Looking at the game in the week, Middlesex had got a decent record against us, to be fair and are a good side. I said from the outset that they would be a good team who would be right up there as they have a good balance with bat and ball and some experienced players in there. Going into that last day, we felt like we could get a draw out of the game, which we should have done. But we just had one of those days and we were really poor. As a team, we are not getting the runs we would like. Myself personally as well and a few batsmen are in the same vein as well. We have also missed Adil Rashid in the last few weeks and his ability to bowl the tail out. If he had been playing, would Roland-Jones and Murtagh have come and smashed him out of the ground when he was bowling his bag of tricks? We definitely missed Rash and we also missed him at Durham as well. It will be good to have him back for the game at Surrey next week. We have brought in Travis Head to add to our numbers and while he is not a lad that I know much about, he has come on Jason’s recommendation, having been at the Adelaide Strikers with him. He won Shield player of the year last season and captained South Australia to the final as a young skipper and has a good pedigree. He has a fantastic record in the short formats and got picked on tour with Australia and I am sure he will be desperate to show what he can do in county cricket and they are the sort of players that we want. We start our four-dayer with Surrey at the Oval on Monday and I expect the pitch down there to probably spin a bit. Surrey haven’t had the best first half of the season and have just one win on the board and five losses and we go there to win. Gary Ballance has been recalled to the England squad for the Test opener with Pakistan and I always thought that if Gary got into any sort of form that a recall would be just around the corner. I have said before that the record he has got in international cricket is very good. It is not a surprise pick from my point of view and they are going back to someone who they know can perform at Test level. 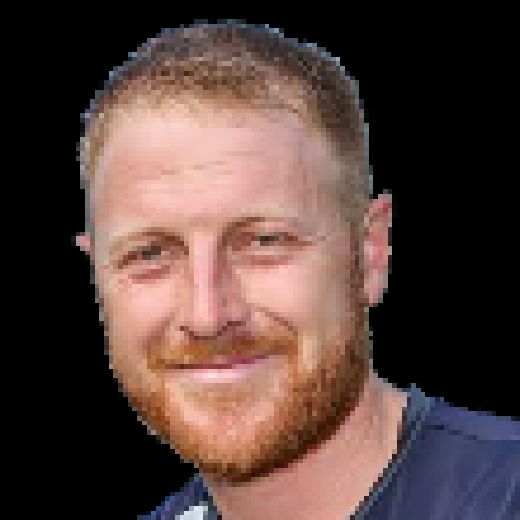 Gary’s last three weeks have been really good for him and white-ball cricket has got him in some form and in the past few weeks in County Championship cricket, you can tell he has been back to his best. He played a really good knock in the first innings at Scarborough.